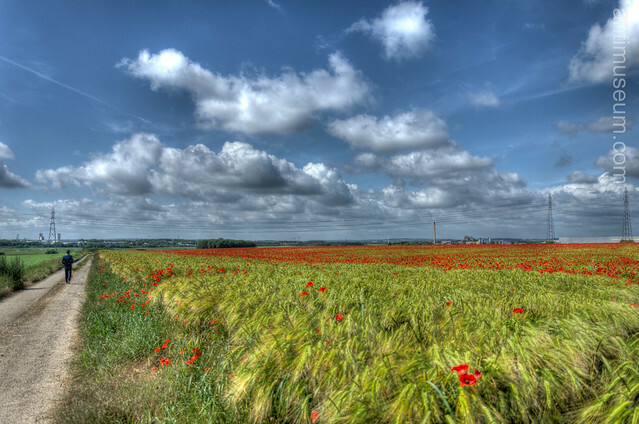 Poppy Field in the Somme (Picardy). We saw this field from afar and decided to make a detour and take pictures. In those fields, boys from Britain and France died while doing their duty in the battle of Albert (July 1916). And now one minute of silence in their memory. Just think how portentous this photo is: it seems that every drop of blod that has been shed unnecessarily has turned into a poppy, and isn’t a poppy the symbol of decay and eternal sleep… It’s moving but still so peaceful, beautiful. Let’s hope it will never happen again. Pretty photo. The terrain looks a bit flat for the Somme or Ancre area. Where were you? Thanks for your visit, comment and also your great blog on World War I. I will get back to it. 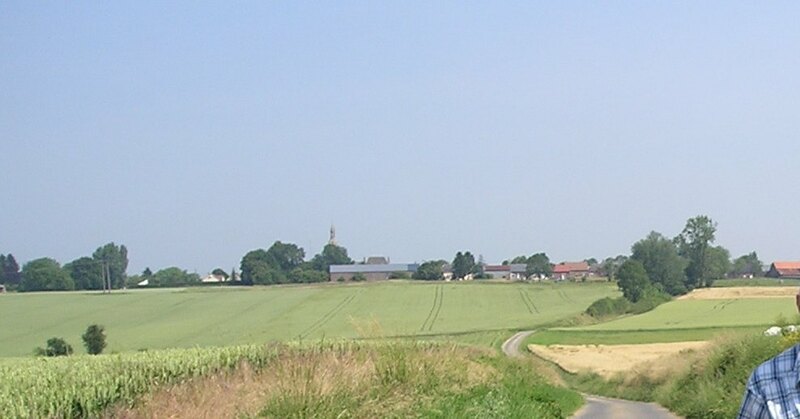 The area is situated north of Amiens, maybe 10-15 Kms up north towards Doullens and not far from Albert. It’s true that Doullens and its famous “côte de Doullens” is very steep. Yet, around Amiens the landscape tends to be rather flat northwards and also eastwards towards Corbie, where my Mother originates. HTH. Merci, I will have a look have a look when I next visit.